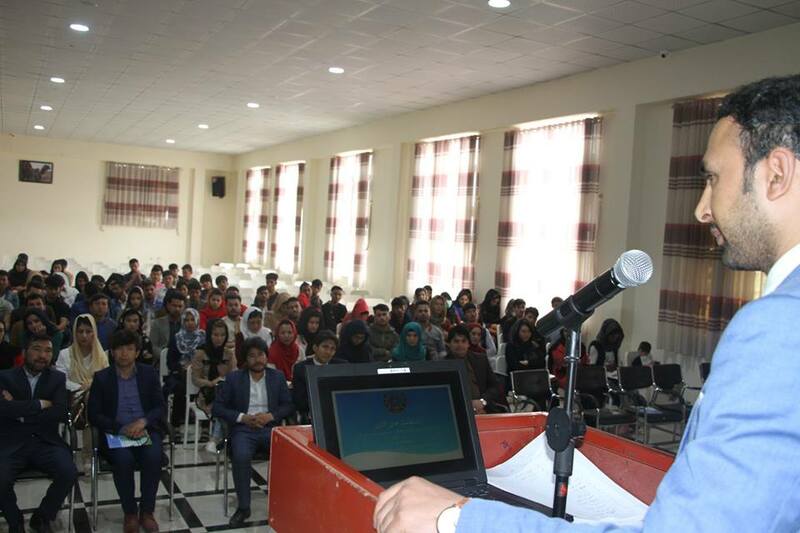 On Tuesday, Hamal 20th, 1398, a one day workshop was held at the University where most of the alumni along with other academic staff were present. During the workshop, detailed information was given to the participants about the State Ministry’s goals and achievements plus the role and responsibilities of Milli Shora (Parliament). At the beginning, Mr. Aimal Habibi of State Ministry provided good enough information about the role of SMPA in strengthening ties between the 3 pillars of State. He also briefed the audience regarding the ministry’s future planning in keeping close constructive relationship between Legislative and Executive Powers which will be applied step by step as per the proposed time table.